Compact and highly portable MIDI pad controller. 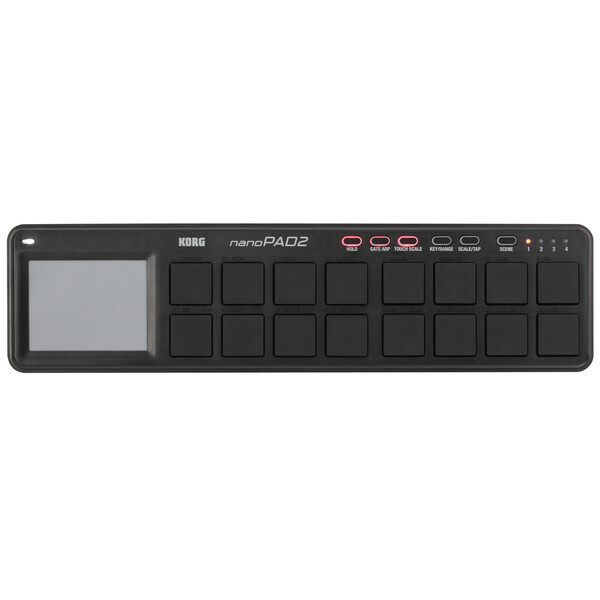 The Korg nanoPAD2 USB MIDI Controller, Black is a slimline USB controller designed for finger drumming and triggering samples. The nanoPAD2 features 16 velocity-sensitive pads, accompanied by an X-Y touchpad. 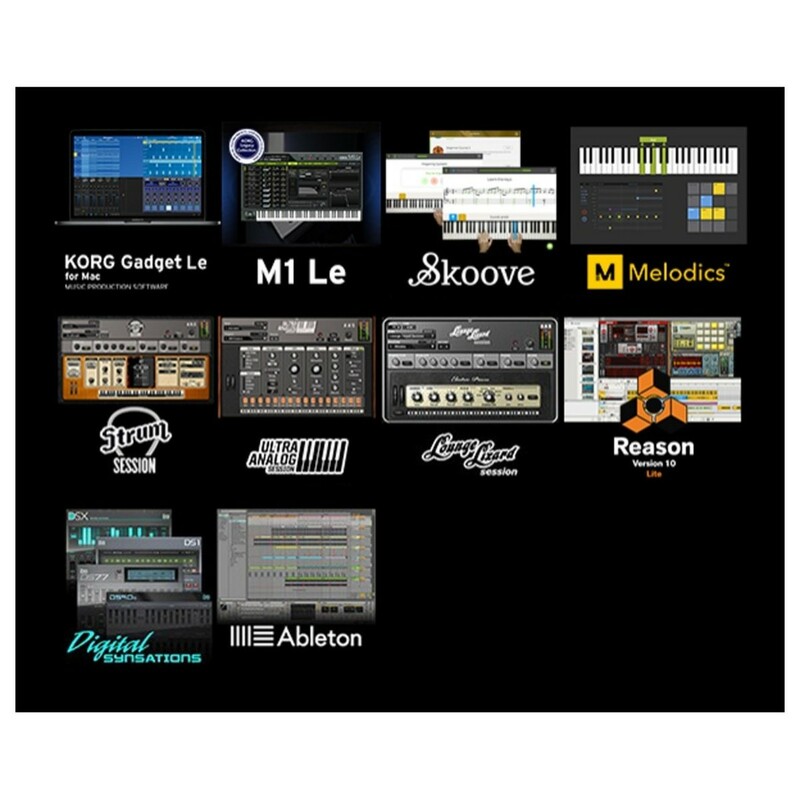 It is the perfect tool for music production, allowing you to create drum loops with ease. The dynamic trigger pads are ideal for both recording sequences into your DAW and live performances. 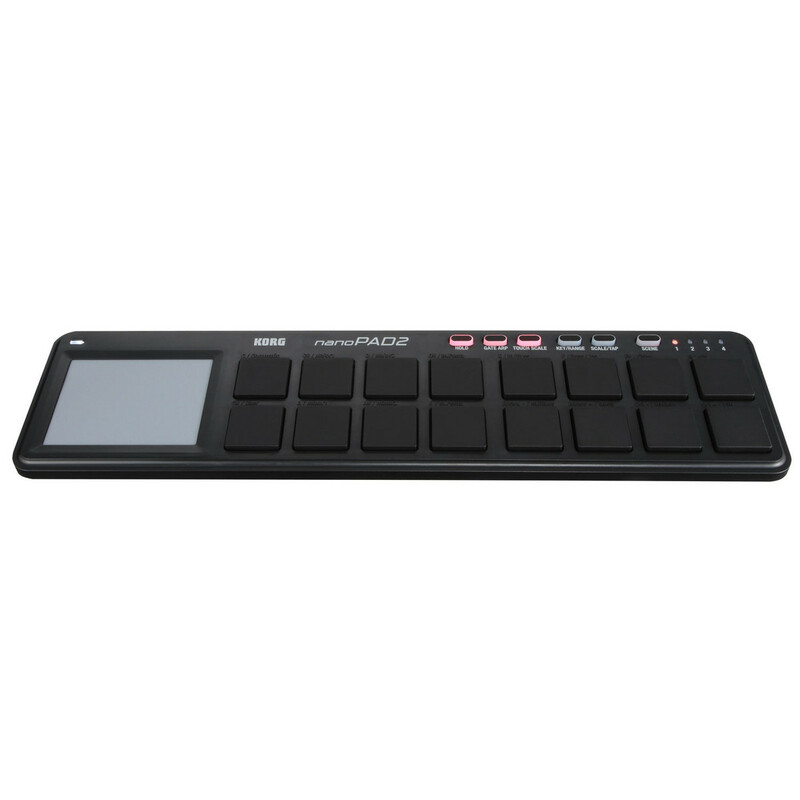 The X-Y touchpad allows you to create musical phrases on the fly, providing added control over different parameters. The robust and portable design is powered via USB, making it the perfect companion for any musician on the move. The Korg nanoPAD2 the perfect tool for finger-drumming and inputting sequences into your selected DAW. The streamline design features 16 pads in total, with each pad featuring velocity sensitivity for dynamic expression. Not only is the nanoPAD2 ideal for finger-drumming, it can be used to trigger one-shot samples or create melodies from instrument sounds. In addition to the 16 trigger pads, the nanoPAD2 features an integrated X-Y touchpad. 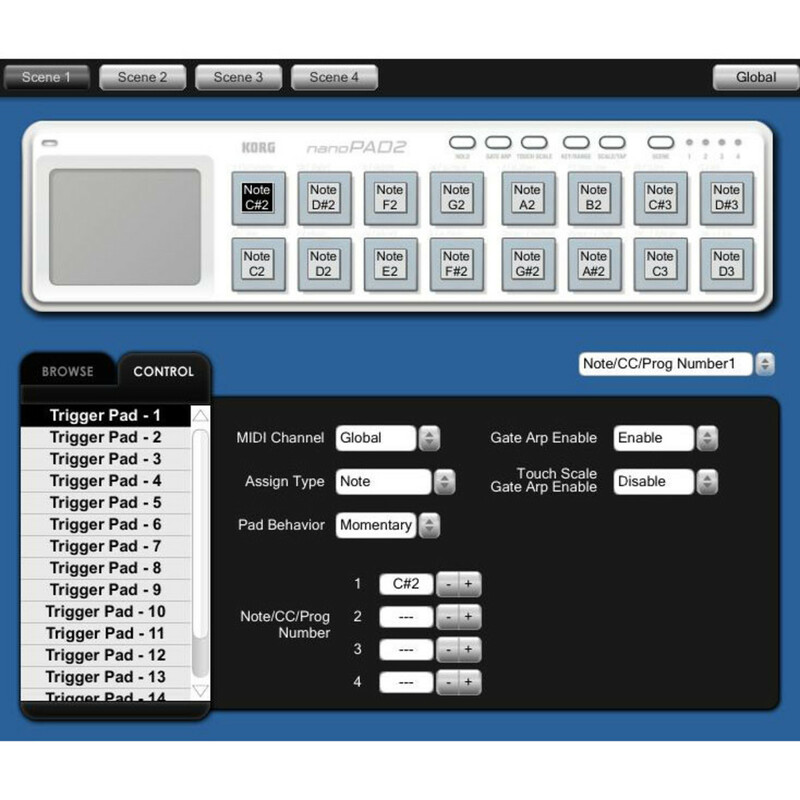 This versatile touchpad can be used to control a variety of parameters. You can use the touchpad to create musical phrases on the fly, perfect for live performances as well as music production. The ‘Touch Scale’ function allows you to play phrases on the touchpad, similar to the Kaossilator. It gives you the option to choose from sixteen different scales, as well as the ability to specify the root key and note range. The ‘Gate Arp’ function is taken from the Kaossilator pro, transmitting note data based on tempo. It also includes handy functions such as tap tempo and tempo sync for added versatility. Combining the various modes allows you to experiment with your sounds, perfect for live performances. The compact and highly robust design makes the nanoPAD2 one of the most portable MIDI keyboards on the market. The slimline construction will fit within your backpack with ease. It is also powered via USB power, eliminating the need for an external power supply. The nanoPAD2 is the perfect tool for getting ideas down on the move, to creating full productions from home. The nanoPAD2 comes complete with the Korg Kontrol Editor software. This custom software is specially designed for use with the nanoPAD2. It allows you to navigate between settings and customise them with ease. You can use the software to change the minimum and maximum values for each control for added flexibility. Dimensions: 12.8" x 3.27" x 0.63"